Not the prettiest, but totally yummy. 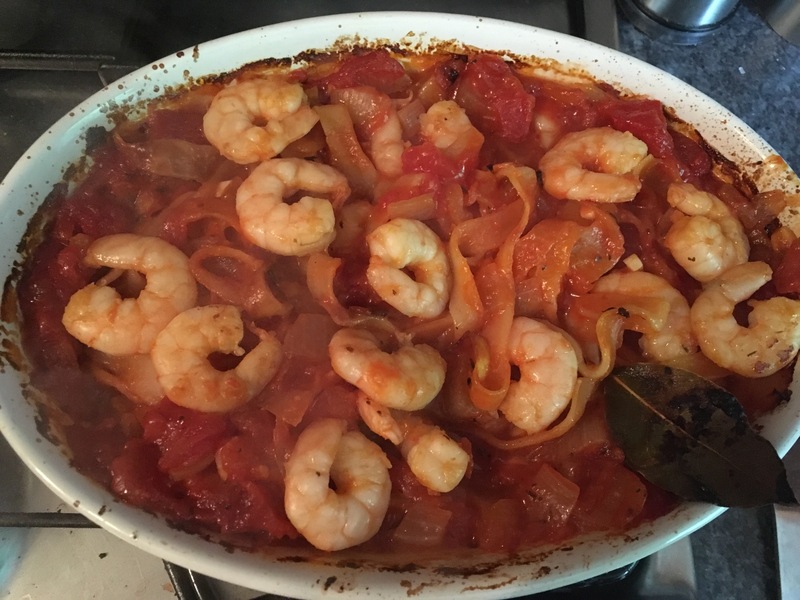 Baked tomato pasta with prawns. Seasoning – black pepper and salt. Brown off the onion in a frying pan with a teaspoon of sugar, and salt and pepper to season. Add the garlic until softened. Mix in the tinned tomatoes, and bring to boil. 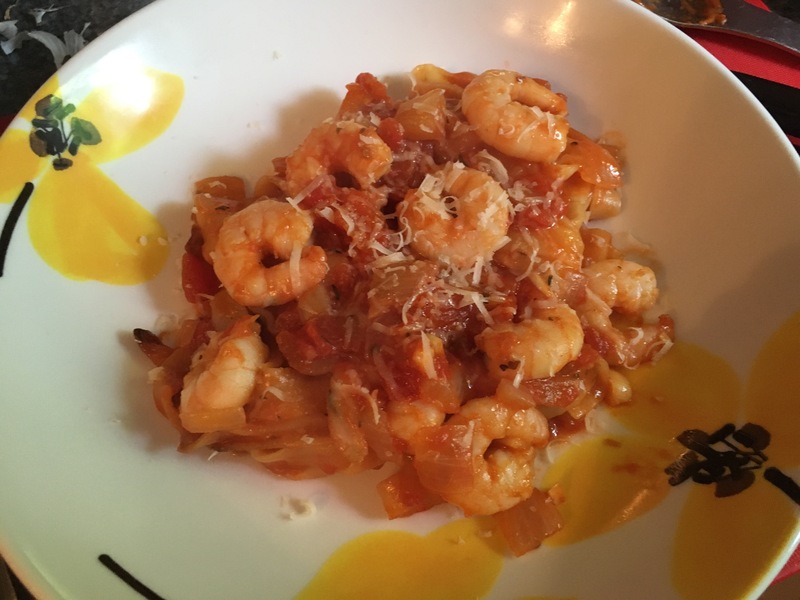 Add the mixture to an oven dish, add prawns, herbs, bay leaf and pasta. 6. Fill the dish with water, to the top, and put in the oven for 30 mins. 7. 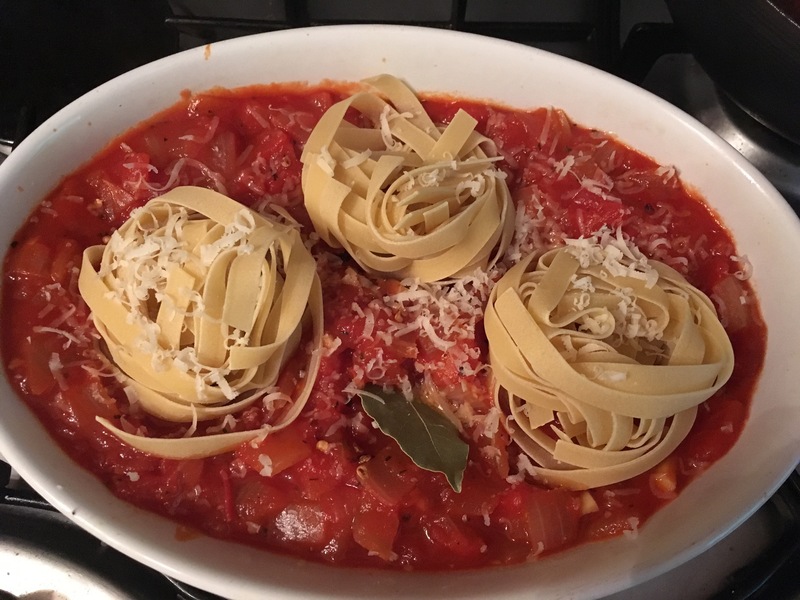 After 15 mins, give the pasta and sauce a stir and place back in the oven for the remaining time. How did you put that cute face behind the title! Neat I didn’t even know about that! Would be lying if I said what platforms it was on.. But I have an iPhone! 🙂 I’ve not had any issues with it either!